Study the following graph carefully to answer the given questions? Human Resources Index of an Organisation for the given years. What is the approximate average for the given Years? The index in 1998 was what percent of that of 1996? 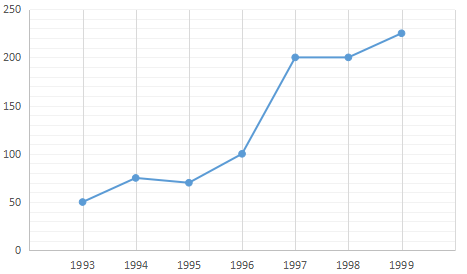 What is the percent increase from 1993 to 1999? In which year is the percent increase the highest from its previous year?